This is a strange biography of a strange – but unfortunately not uncommon – man. Just as Hannah Arendt would classify Eichmann as the banality of evil so to this insignificant little chemist helped perpetuate the largest violation of human rights in the 20th century – Communism. Part of what makes the biography strange is that it does not hold its subject up to the condemnation he so richly deserves – if justice had been served he and Hiss and the rest would have been put to death with the Rosenbergs for high treason. We are certain that part of this is the biographer’s desire to rehabilitate his subject and whether his motives are political or otherwise is not disclosed. The other part of it may be the relatively short attention span of the American public and something of the naiveté that will not allow many of us to believe that anyone is as black as he is painted. Part of the necessity for understanding the Soviet penetration of the United States is to understand how far back it goes and how deep it is. In 1924 Armand Hammer helped establish Amtorg Trading Corporation a combination of Products Exchange Corporation (organized in 1919) and Arcos-America Inc [All Russian Co-operative Society](organized in 1923) – in other words before Lenin had a firm grasp on Russia he was doing business here. Amtorg gave the Soviets entre before FDR’s recognition of the Soviet Union in 1933 allowed them the facilities of an embassy. 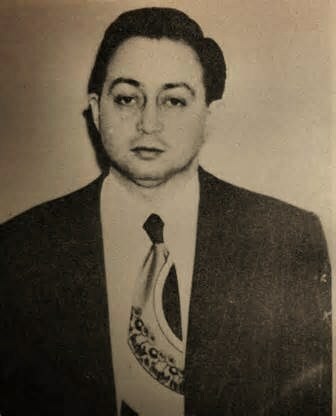 They wasted no time sending Haik Badalovich Ovakimian to the United States who ran the Golos spy ring credited with the assassination of Leon Trotsky and the recruitment of Thomas Lessing Black who, in turn, recruited Harry Gold who became the bag man for British spy Claus Fuchs supplying the Soviets with the atomic bomb secrets. In 1939 Ovakimian became chief of scientific intelligence in the United States while studying for a doctorate in chemistry at a New York University. He was arrested during May 1941 by the FBI but after the German invasion of the Soviet Union he was sent back to Moscow and left the United States in July 1941. Ovakimian there became head of the NKVD’s American desk responsible for espionage by Soviet agents within the United States including Harry Dexter White. In 1946 he left the NKVD to engage in full-time work as a chemical engineer and was responsible for the development of their chemical arsenal in the 1950’s. Amtorg continued in business committing industrial espionage with seeming impunity and they were still in business in 2000 [for those of you who thought the Soviet Union ended in 1989]. When a group fighting for the rights of Jews to emigrate from Russia attacked their offices in 1971 and 1976 they were labeled domestic terrorists. Meanwhile Armand Hammer – named for the arm and hammer graphic symbol of the Socialist Labor Party – a son of a founding member of the Communist Party USA who himself was so economically tied to the Soviet regime that everything that came out of Occidental Petroleum in Los Angeles sounded like it came from some Bolshevik picking up his orders from Yegg Central. Is it any wonder that someone who was part of all of this would need rehabilitation? The only wonder is that he should receive it! In the history of Soviet espionage in America, few people figure more crucially than Harry Gold. A Russian Jewish immigrant who spied for the Soviets from 1935 until 1950, Gold was an accomplished industrial and military espionage agent. He was assigned to be physicist Klaus Fuchs’s “handler” and ultimately conveyed sheaves of stolen information about the Manhattan Project from Los Alamos to Russian agents. He is literally the man who gave the USSR the plans for the atom bomb. 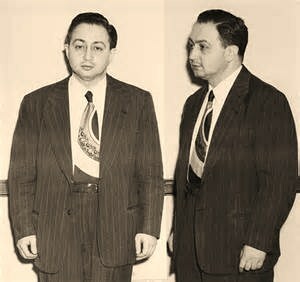 The subject of the most intensive public manhunt in the history of the FBI, Gold was arrested in May 1950. 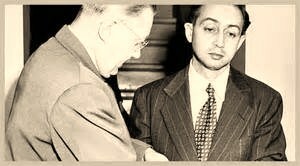 His confession revealed scores of contacts, and his testimony in the trial of the Rosenbergs proved pivotal. Yet among his co-workers, fellow prisoners at Lewisburg Penitentiary, and even those in the FBI, Gold earned respect, admiration, and affection. In The Invisible Harry Gold, journalist Allen Hornblum paints a surprising portrait of this notorious yet unknown figure. Through interviews with many individuals who knew Gold and years of research into primary documents, Hornblum has produced a gripping account of how a fundamentally decent and well-intentioned man helped commit the greatest scientific theft of the twentieth century.